His name (Dimitri Payet) was in every tabloid, in every rumor and discussed in every bistrot of Marseille, even before the official opening of this year’s Summer Window Transfers. 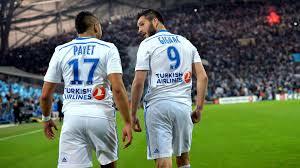 Since the beginning of the French Mercato, les Marseillais are watching their best players leave le Stade Velodrome ( Gignac, Morel, Ayew) on free and now their playmaker, Payet is en route to West Ham, sold off cheaply, only 15 M Euros, a good bargain for the Hammers. It is well known that the Phocian club need desperately fresh cash, at least 25-30 M Euros and Mrs Margarita Louis- Dreyfus the club’s owner is unwilling to provide any amount of it. It seems that the player wanted to sign a new contract with Marseille and have another go with Head Coach Marcelo Bielsa, but President Vincent Labrune’s decision was to sell him instead, thus starting a riot amongst Marseilles’supporters. The 29-year old International produced this season 16 assists( Best in Ligue 1) and played the best football of his career. Bielsa, was very important for the midfielder’s heroics, and helped the player to retrieve his place in France’s national team. Needless to say, that Marseille’s fans aren’t happy to see their prized player leave them, for a “lesser club” as West Ham. There’s so much hurt and anger that the police were requested by the club’s direction, to turn up at the training ground and block the fans access, after some insults tagged on the walls of Louis-Dreyfus training ground, against the president and the club’s owner. 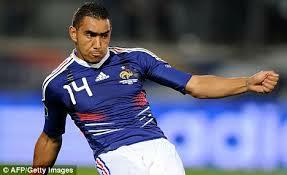 Payet’s signing to West Ham, is a good or a bad move ? It’s true that he played good football this season, but this player is well known for the ups and downs in his game; he never produced two good seasons in the row and that cost him his place in France’s national team. Didier Deschamps, called him back, because of this year’s good performance with his club, but EURO 16 is less than a year’s time and if he hasn’t enough playing time with the Hammers, he won’t be part of the final selection. 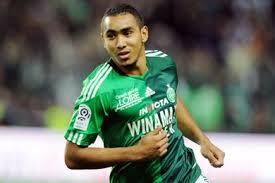 Could he be strong enough to adapt quickly in Premier League and shine enough to convince Deschamps to keep him ? The answer will be on the pitch, but he won’t be the first French player to face difficulties galore, especially during the first year. Nevertheless, West Ham’s scouts did a good job; with the right coaching the French International, could be a nice and not too expensive signing for the club. Dimitri Payet’s English season could begin in Europa’s League qualifications, a good test to evaluate his real potential.